Better Photographs - Where photographers help one another. If your answer is YES then you are in the right place. 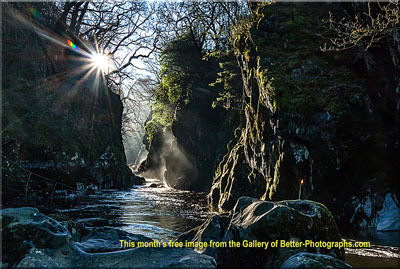 Welcome to Better Photographs - a free website with advice, tutorials, masterclasses and ideas where photographers help one another. You might want some guidance on taking better shots or need a hand in improving the appearance of some of your images. Perhaps you are looking for a picture to inspire your photography or to hang in your home or workplace. Maybe you need an image for a magazine or poster. You will find techniques and ideas to help you take better photographs. There is a section covering essential techniques to help you learn or brush up on important basics and a photography tutor for tips on taking different types of picture. In the masterclass series you can find out how the professionals achieve such stunning images, so that you can do the same. Not all photos turn out exactly as you want them but fortunately, imaging can usually help. Sometimes you only need to make a few simple adjustments. At other times you need to take more advanced action to remedy a problem or to create a special effect. This is where to come for advice and guidance to make better photos. Finally, a website without a gallery of better photographs would be incomplete. Our gallery is now open for you to enjoy a selection of outstanding pictures and to be inspired by them. New - Photo Slideshows. A terrific way to share your artistry using the same simple techniques as the top professionals. If there is any information you would like to see on this website, click here and tell me about it - I’ll include it as soon as possible. This is especially IMPORTANT for the various techniques, tutorials and masterclasses - if anything is not clear to you or if you need more detail, please use the request form to let me know and I’ll do the best I can to improve it. By doing this you will help to make this website more useful for all its readers. Meanwhile, you might want to add this site to your favorites and check back from time to time to see how it is progressing. Better still, you could subscribe to my Better Photographs Blog. This RSS feed is a blog which will let you know whenever any new or changed Web pages appear on this site. It also keeps you up-to-date with other news and information that will help you to achieve superb results. By the way, in case you are wondering - my name is John Curgenven. A Cornishman with a passion for photography since 1960 who is now able to devote more time to the art, having retired from a career in the computer industry. The Better Photographs Blog keeps you up-to-date with all additions and changes to the better-photographs.com web site. Subscribe here. Choosing a New Camera - Which is the Best for You. When choosing a New Camera, it's the glass that matters most. With photo composition, deciding what to include and where to place it can turn a snap shot into a better photograph. Photography Lighting - If there is one element that can make or break a photograph it is lighting and yet, it is often the least considered element, even if it is thought of at all. Do your photographs always turn out just right or are they sometimes too light or too dark? Discover what photography exposure means and why it is so important to get it right. Focus of the Lens - How to take advantage of the lens' shape for better photographs with Depth of Field. Photo Copyright - Credit where credit is due. Photo copyright includes the thorny issues of moral rights, metadata, and more. Here are some suggested strategies that photographers can adopt to protect rights in their imagery in the ever changing digital arena. Learn how to take better photos with the photography tutor. Photography Tutorials - Video Tutorials for All Photographers. Learn how to take better photos with these photography tutorials. Photography Masterclass - Learn from the Experts. Following a photography masterclass from an experienced specialist will help you take better photographs. Photography Workflow - How to prevent Overflow. A disciplined photography workflow is essential if you want to spend more time behind the camera than in front of the computer. Digital Photography Tips - some of the best can be found here. Some of the best Digital Photography Tips can be found in these websites and books. Top Photography Tips - hints and tips on how to get better photographs. Use these top photography tips to improve your photos and to get more from your equipment. Photography Tips is the section in Better Photographs where readers questions are answered. This is the place for you to make your requests for Better Photographs - how to take them ... make them ... share them. Photography Review - No, not another list of specifications and test reports. The Photography Review Section is where you can comment on and learn about photography products that you and your fellow photographers have actually used. Gallery of Better Photographs - Superb images which you have chosen. The Gallery of Better Photographs is constantly changing and represents work which is voted for by buyers, collectors and visitors. Try this slideshow maker to turn your photos into a professional video set to music. Most photographers are looking for great places to photograph. This section covers some of the best that we have visited. Free downloadable photographs, free Wallpaper and Facebook Timeline Covers for your collection. At Better Photographs you can get free help from fellow photographers, learn from master photographers and receive free downloadable photographs as well. Featured Photographer - One of the Best. Our featured photographer is selected from our readers. Here are some photo ideas that you might like to try out with your better photographs. The RPS (Royal Photographic Society) - A must for the serious photographer. You are unlikely to meet an Amateur or Professional Photographer who cannot benefit by being a member of the RPS. A selection of Photography Books which have helped our visitors take Better Photographs. A selection of Landscape and Travel Photography Books which have helped our visitors take Better Photographs. A selection of Portrait and Wedding Photography Books which have helped our visitors take Better Photographs. A selection of Wildlife and Nature Photography Books which have helped our visitors take Better Photographs. A selection of Underwater Photography Books which have helped our visitors take Better Photographs. DSLR Video - Shooting Videos on a DSLR Camera. A step by step guide, explaining how to master video editing using free software. Video Sound - Recording and Editing Video Sound. How to ensure your HD Movie has the best possible video sound track. Photo editing software can be used for putting things right and for helping your creativity make even better photographs. Sloping Horizon - Returning to the straight and level. We don't always notice a sloping horizon. Sometimes it's because our attention is on the foreground, at other times we are not quite as "level headed" as usual! Converging verticals in a photograph can make buldings look as though they are falling backwards. It is very easy to correct this if you want to. Red Eye Removal - Not only caused by a very early flight. One of the biggest problems caused by flash photography needs red eye removal. This is very easy to do with modern imaging software. Too Dark - How to bring back what's lost in the shadows. Sometimes a photograph turns out too dark. Fixing this problem is easier and quicker than you might think. Remove Distractions - Cleaning up those picture spoilers. Sooner or later we want to remove distractions in an image. Either because we didn't notice them when we took the photo or because they just wouldn't move away - however long we waited. Monochrome - Sometimes known as Black and White, Greyscale and Other Variants. In photography, monochrome means single colour. It often refers to black and white, greyscale or other single colour images such as sepia. Depth of Field - Separating the subject from its surroundings. Using the camera's aperture to obtain the best depth of field is not always possible. Improving Composition - Making the best of a disappointing job. Improving composition is best carried out when the photograph is being shot however, this is not always possible. Fortunately, digital imaging can sometimes come to the rescue. Image Extraction - When you want to remove all but the essentials. However good it is, a photograph can sometimes be improved by image extraction. Either to remove unwanted distractions or to isolate a subject for a montage or illustration. Artistic Images - Creativity with the stroke of a mouse. Artistic images take photography to the next level by allowing your creative juices to flow; with a little help from imaging software. Image Sizing - It's too easy to get this wrong if you don't know the basics. Image sizing is not complicated but it is sometimes confusing. Understanding the basics is all you need to get it right every time. Picture Frame - The best place for your better photographs. It's not surprising that better photographs are displayed in a picture frame. A little imaging artistry can make them look even better ... and save money as well. John Curgenven - Photography and Imaging. Images that compel you to look again. Since it's launch, SiteBuildIt has helped over 100,000 entrepreneurs and small businesses to outperform larger, well-financed competitors. It can do the same for you. What is RSS? Really Simple Syndication. What it means to you is that when you subscribe to a site that has an RSS feed, you can keep up-to-date without having to check the site. Visit the better-photographs.com site map if you want to see it all in one place.